Old world travel meets the future perfect in the I-Trunk by Pinel et Pinel. From well-appointed jewelry boxes to exotic terrariums, Designer Fred Pinel can store and protect anything you want in great style and quality. With the I-Trunk, you can select your own color combinations. 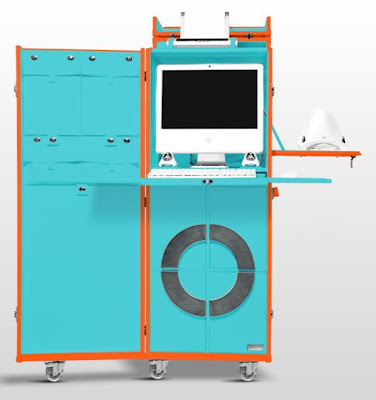 As with any couture item, you pay for quality...with a price tag around $50,000, the I-Trunk is as much pop art as it is mobile office.